The CareTeam functionality is used for multiple reasons that can help patients and users keep everyone in a persons ‘circle of care’ informed and up to date. People in your circle of care are responsible for collecting, using, disclosing or handling your personal health information. It can include people such as physicians, nurses, specialists and others referred by physicians. 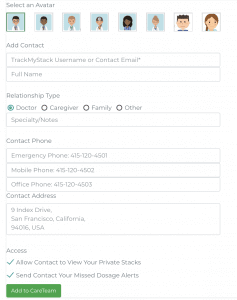 You may additionally also add your pharmacist, family or friends. Alternatively, circle of care can also include nurses, clinical clerks and anyone else responsible for helping you adhere to your health goals as part of your care plan. Store information about those that are helping you with your health. Allow the member of the careteam to receive email notifications if and when you miss a dose so they can follow up. 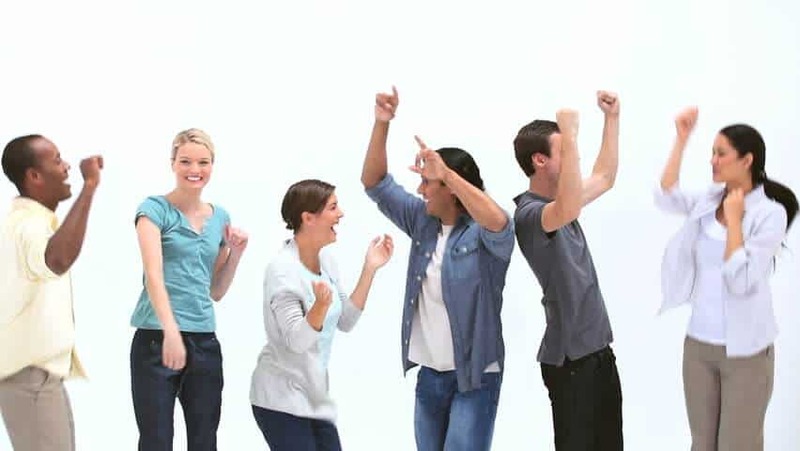 The buddy system has been proven to work exceptionally well in helping people adhere to their regimen successfully and for keeping everyone looped in. Who is the CareTeam feature useful for? 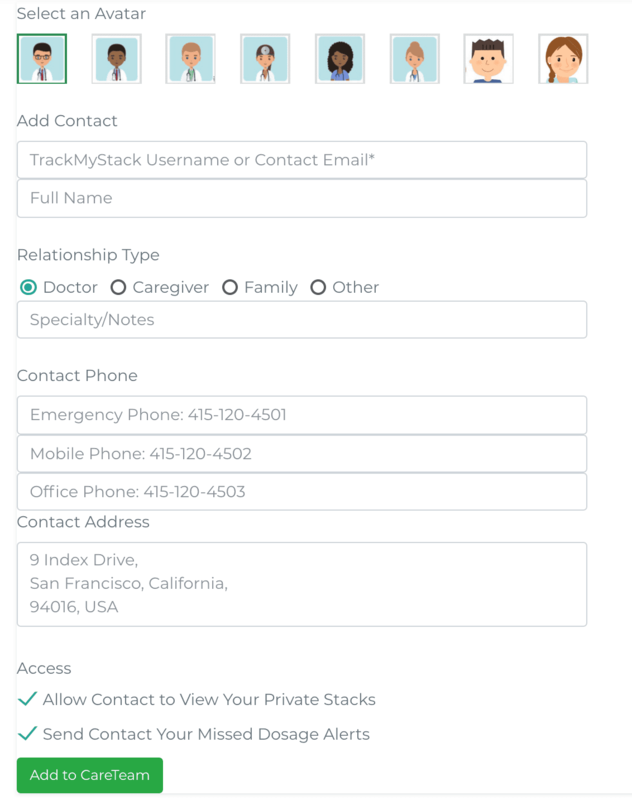 The careteam functionality is beneficial for the elderly where access may be provided to physicians, RN’s and or family members that want to be alerted when medication is missed or want to remotely view the user’s reports. It is also beneficial for parents or friends to monitor symptoms of someone going through psychological disorders or facing symptoms that they want to be on top of. This feature is free to use for all users, and to get started you can click here.